Here is the shocking true saga of the Irish American mob. In Paddy Whacked, bestselling author and organized crime expert T. J. English brings to life nearly two centuries of Irish American gangsterism, which spawned such unforgettable characters as Mike "King Mike" McDonald, Chicago's subterranean godfather; Big Bill Dwyer, New York's most notorious rumrunner during Prohibition; Mickey Featherstone, troubled Vietnam vet turned Westies gang leader; and James "Whitey" Bulger, the ruthless and untouchable Southie legend. 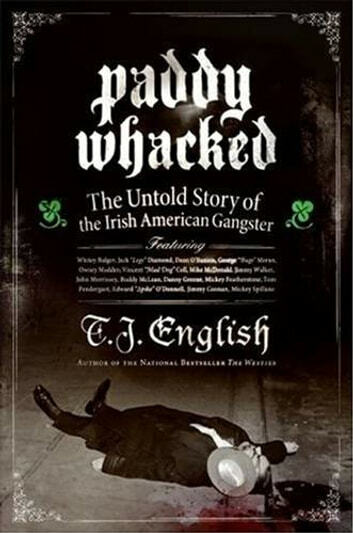 Stretching from the earliest New York and New Orleans street wars through decades of bootlegging scams, union strikes, gang wars, and FBI investigations, Paddy Whacked is a riveting tour de force that restores the Irish American gangster to his rightful preeminent place in our criminal history -- and penetrates to the heart of the American experience.